Our goal is to unite neighbors and communities through physical service, engagement, and youth development. Places where we perform cleanups include community gardens, public spaces, and schools. To see what's happening around your neighborhood, follow us! 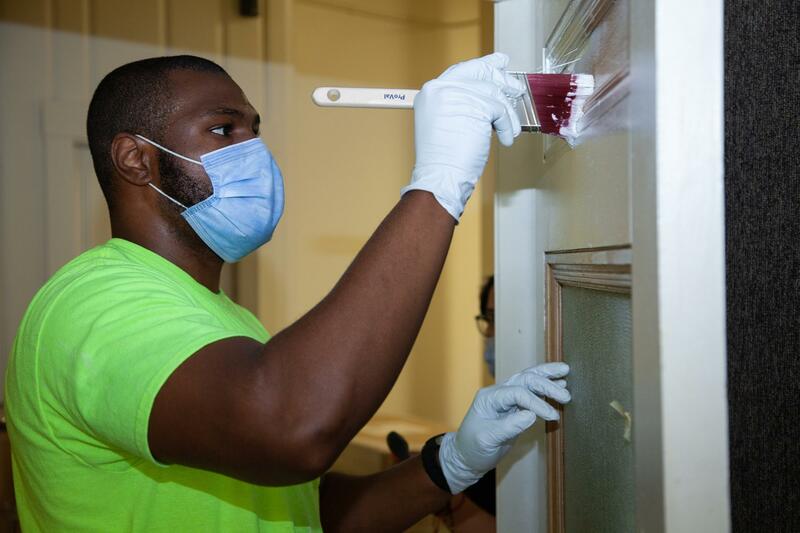 We hold service days in neighborhoods across the City throughout the year. Interested in volunteering? Please complete our online form. This day has been set aside for large corporations and educational institutions to volunteer across the City. All corporations must register! The registration deadline is April 26. After registering, your neighborhood liaison will reach out with more information. All groups and individuals must register! The registration deadline is April 26. After registering, your neighborhood contact will reach out to you with more information. Love Your Block would like to thank our sponsors for their generous contribution towards the 2018 spring cleanup. This year, their donations helped more than 2,500 volunteers. Over the course of two weekends, we were able to make Boston a cleaner, more vibrant city. Associate your brand with community service. Support the neighborhoods of Boston by providing funding for cleanups or in-kind donations. These donations include tools, flowers, paint, and more. Make a difference at the local level by helping the neighborhoods of Boston. Show residents and volunteers in the neighborhood your company values and is invested in civic engagement. Show the local community you're concerned with the quality of life for all Boston residents. The Love Your Block 2018 spring cleanup took place during two weekends in May. We covered all Boston neighborhoods, doing everything from picking up trash to painting fixtures. For the second year in a row, more than 3,000 participants volunteered to improve our City.